Our first Training Program this year will start soon! Chilcotin Holidays owns and operates a 600 hectare woodlot which provides an ideal training ground for our Horse Logging Programs. Learn about logging in a unique wilderness lesson. Guide horses as they pull huge trees to provide firewood or building materials. 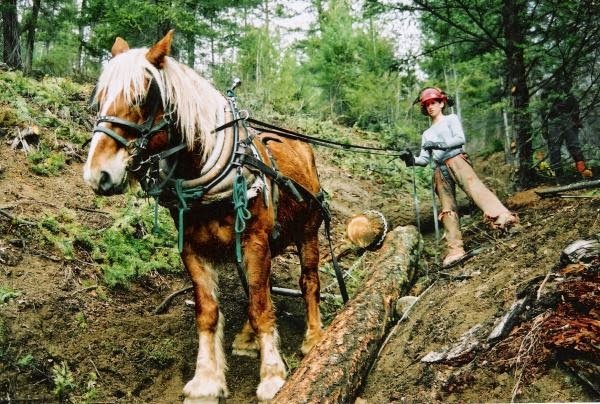 The increasing demands for sustainable logging practices makes select logging with horses an obvious choice. 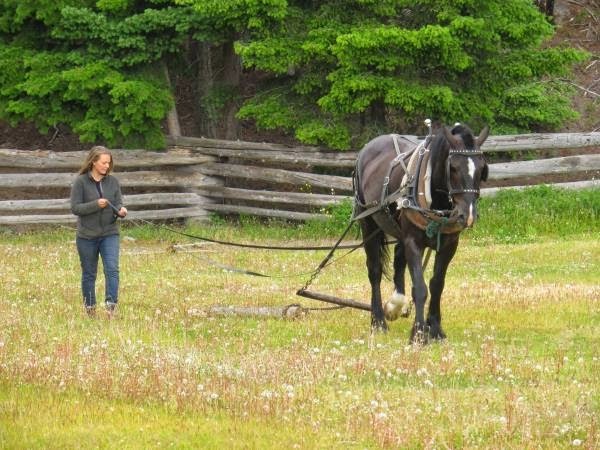 Licensees and woodlot owners are recognizing the advantages of logging with horses. Our woodlot provides important comparisons of forest management for both areas that were logged with horses and areas that were logged with mechanical methods. The Program combines theoretical and practical hands on experience. Each objective is achieved under guided supervision and time is allocated for individual practice, study and each lesson. Guide a strong cayuse horse and get more in touch with nature. The first third of the Program is based out of the Ranch, where theoretical and practical hands on experience is provided in a controlled environment. The last two thirds is spent in our woodlot where the students have first hand experience by applying their newly learned skills to the "real thing".